Sometimes we just get the itch to get out and I made that decision one morning. 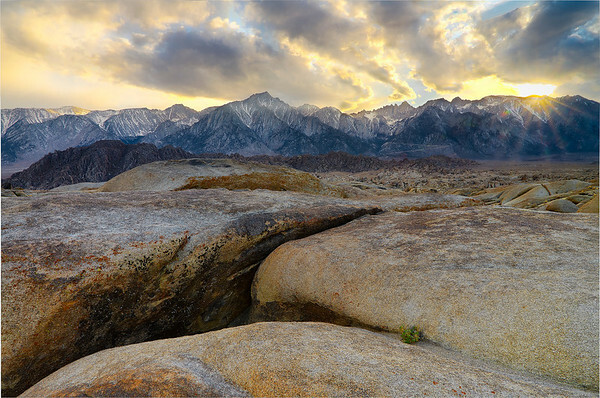 It's about a 6 1/2 hour drive for me to get to Lone Pine and I wanted to be sure to get there in time for sunset. The drive was gorgeous all the way down the East Side and I could have gotten a lot of shots on the way, but didn't want to miss my chance at what was looking like a great evening. While everyone on the west side of the Sierra was getting a good soaking rain, I had loads of beautiful, big, puffy clouds. This was the best light, though as the sun sank into the storm. Still, I had a great time getting out with the dogs for a few days of peace and solitude in one of my favorite places.